“Hun” – Before the Shredder, New York City was ruled by one very dangerous man. Now, the Shredder is dead, the Foot Clan is in disarray and that man has been released from prison. 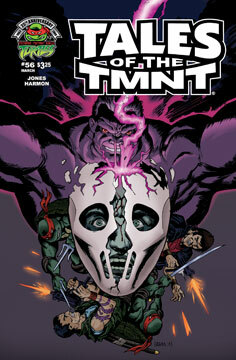 Featuring the debut of the greatest threat to face the Turtles since the Shredder himself and revealing the shocking events that truly made Casey Jones the man he is today!